- See the miracle of birth: The Farm Show has, as long as I can remember, a display where you can watch chicks being hatched. At the Calving Corner, a new exhibit in the Northeast Hall of the Farm Show complex, you may be able to see a cow give birth to a calf. There’s no guarantee with nature, of course, but word spreads quickly about a cow ready to give birth via announcements, so keep an ear open. - Get a great milkshake: Fan of Berkey Creamery milkshakes? Then you’ll love Farm Show milkshakes at the Pennsylvania Dairymen’s Association stand in the food court. There’s no frills here, the milkshakes are either vanilla, chocolate, or mixed, but they are fantastic and well worth the wait in line. In addition, the Dairymen are raising money for the Fill a Glass With Hope campaign that provides milk to food banks in the state. - Try something local from other regions: Pennsylvania’s a big state, but every corner has local food producers. 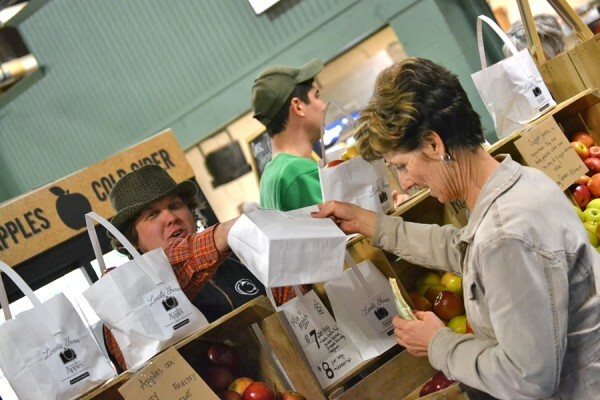 Many of them will be selling local wares, such as venison jerky, maple syrup cookies made from Pennsylvania syrup, hard cider from Pennsylvania apples, salsas, and more. You may see some familiar faces from our neck of the woods, but it’s always fun to try something from a different part of our state. - Three words: tractor square dancing: Yes, that’s exactly what is sounds like. Two teams of two callers and 14 drivers will maneuver tractors of all sizes around the Large Arena, coordinated to music. The event happens at 10 a.m. and 1 p.m. Friday, Jan. 12, and it honestly has to be seen to be believed (spoiler: it takes a lot of skill). - Overdose on adorable at the Baby Duck Slide: In the Weis Expo Hall near the Farm to Shelf Display, you will find about a dozen baby ducks in a pond fitted with a slide. Apparently, baby ducks love to slide, and humans of all ages cannot get enough of them doing it (including this human).